Part of every Royal Caribbean cruise are days spent at sea, which means you have the entire day to enjoy the vast array of things to do onboard. 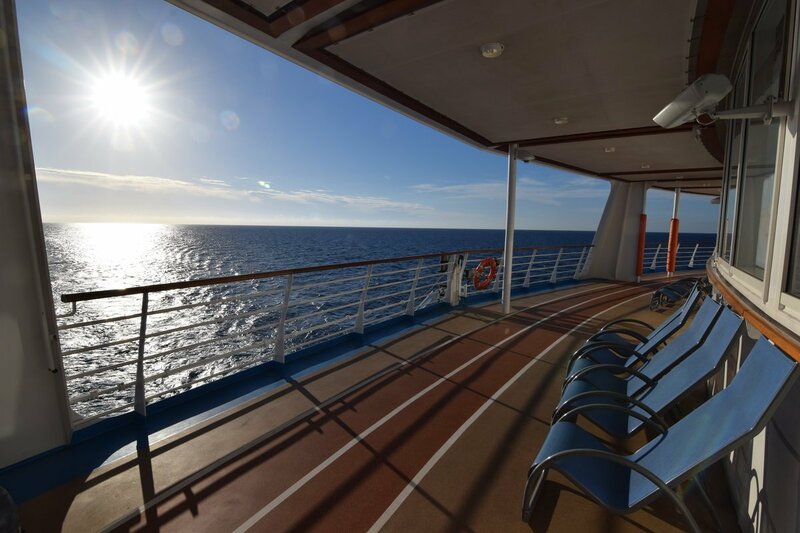 Sea days provide ample opportunity to see and do many things to do onboard, from dawn to dusk. 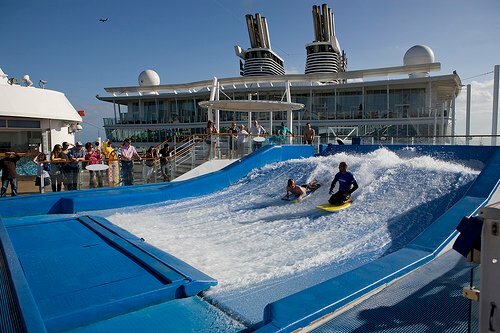 Sea days on a Royal Caribbean cruise are fairly open-ended, with you setting your own pace for what to do. Some guests elect to do a ton of activities, while others take it slow and enjoy pure relaxation time. Regardless of what you pick to do on a sea day, there is lots to consider and here are the sort of activities it seems most people opt to try. Sea days are the perfect day to sleep late, just because there is no port to arrive to and no excursions to be ready to experience. While sleeping is not the most exciting activity to tell your friends about, it is no less an awesome feeling. Many guests like to take things easy while on a cruise, and nothing says a laid back kind of day than sleeping into double digit hours! 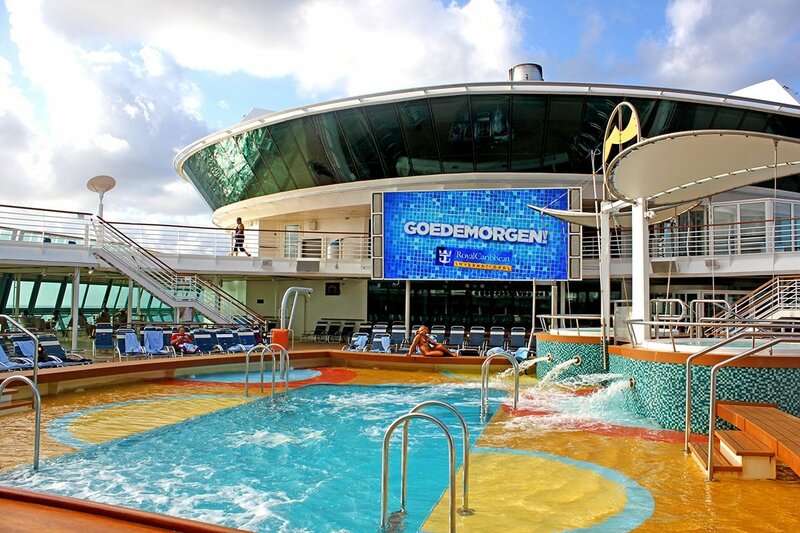 Perhaps no onboard activity is as synonymous with a sea day than spending time at the pools onboard. Whether you choose to sunbathe, swim or just go back and forth, you will find ample opportunity to enjoy pool time on a sea day. Royal Caribbean ships have more than one pool, with some ships having dedicated pool areas for kids. These kid-friendly pool areas often feature colorful splash zones, water slides, and of course pools and hot tubs. While there is plenty of swim opportunities for kids on all Royal Caribbean ships, the newest ships in the fleet offer the latest and greatest choices. Voyager, Freedom, Oasis and Quantum class ships offer the largest and most extravagant pool facilities for kids. Royal Caribbean also has a dedicated area on its ships for adults only, known as the Solarium. The Solarium is the adults-only pool that is open to guests that are at least 16 years old. It is usually located in the front of the ship's pool deck and is often indoors or with a retractable roof. Because of the indoor nature of the Solarium, it tends to be warmer and more humid in the Solarium than the main pool. Royal Caribbean also tends to have cushioned lounge chairs that differ than the loungers available in the main pool. While specialty restaurants are not that new an option on Royal Caribbean ships, offering lunch is becoming a new trend. Typically, specialty restaurants are open for dinner, with lunch overlooked. 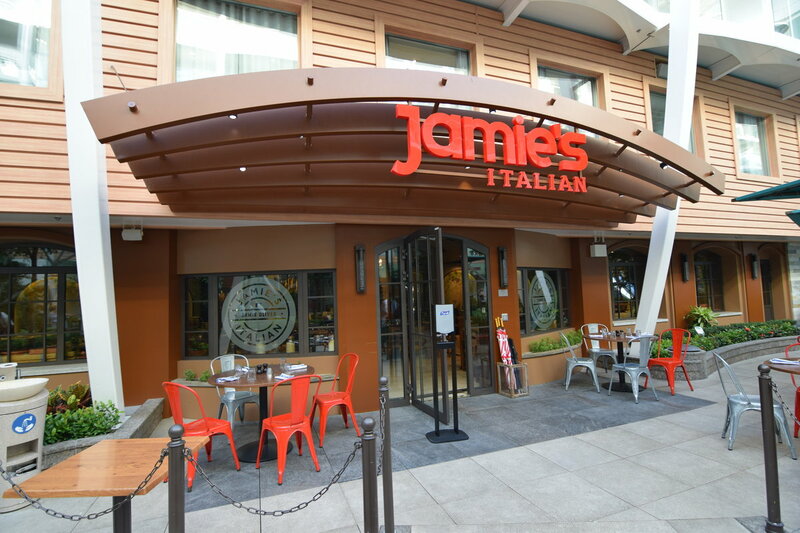 These days, more and more specialty restaurants are open for lunch and sometimes at a reduced price. Advanced reservations for lunch are not normally available prior to your cruise, but one onboard, some restaurants take lunch reservations. The Cruise Compass will list operating hours, but enjoying lunch at a specialty restaurant can provide an indulgent meal at a restaurant you might not otherwise have time to dine at. Royal Caribbean ships are full of things to do on a sea day, including movies, live performances and competitions. Throughout the day and night, there are regularly scheduled entertainment to enjoy all around the ship. During the day, you will find lots happening by the pool. Pool games, line dancing, food demonstrations and more occur on each sea day. Plus, you will find live music performed right by the pool. There is something so relaxing and enjoyable about hearing a reggae or steel drum band play music on a sunny sea day afternoon. 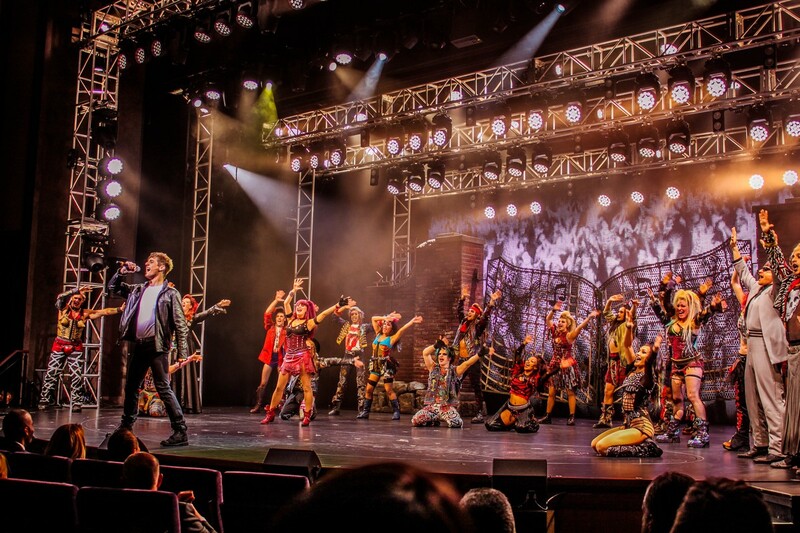 At night, Royal Caribbean puts on its best performances in the Royal Theater. Broadway shows, original productions and comedy/magic acts are lined up for guests to enjoy each evening. In addition, Royal Caribbean has added large screens near its pools in recent years, which means you can enjoy the latest films while taking in a swim (or from the comfort of a nearby chair). A time honored tradition on the beach has always been to read a good book, and being on a cruise ship is no different. Many guests take advantage of their time onboard to finally get to that book (or books) they have been meaning to read. Royal Caribbean markets its cruise ships as floating destinations, and you would be remiss if you did not check out some of the signature activities available on your ship. Royal Caribbean first made a name for itself by adding rock climbing walls to its ships, and these days, they offer much more than just that. Depending on the class of ship you sail on, there are many really fun (and complimentary) activities to enjoy. Surfing on the FlowRider, ice skating, taking the view in aboard North Star, having a jump in the jump zone trampoline park, going down water slides and much more. Whichever cruise ship you book, be sure to look into the activities available on the ship. Sea days are a popular time for many guests to enjoy these activities, but a little bit of research ahead of time can mean you can beat the crowds and get a few turns in. Whether you go to the gym to maintain your regular exercise regiment, or just want to off set the delicious food you are enjoying onboard, Royal Caribbean's fitness center is a great way to keep fit on your sea day. The equipment in the fitness center is complimentary for guests to use, and opens very early and stays open for much of the day and evening. There is ample opportunity to work out while on your Royal Caribbean cruise, and a sea day is a great time to stop by. Royal Caribbean also offers fitness classes for an additional fee, where guests can partake in activities such as yoga, Pilates, spin and more. There are sign up sheets in the gym, and it is open on a first-come, first-signed up basis. Your best bet is to sign up early in the cruise for the class(es) you want. A sea day can be super relaxing with just one visit to the Vitality Spa. Whether you choose a massage, facial, or another service, there is plenty of choices. If you are new to the spa, you should consider taking a complimentary tour of the spa facility. We have found the spa tours to be low sales pressure, and a good way to learn about the services offered. Sea days are quite popular for spa appointments, so be sure to book yours early in the cruise. Better yet, book it ahead of time prior to your cruise on Royal Caribbean's Cruise Planner site. What is your favorite sea day activity? Did we neglect to mention something you love to do while at sea? Share your thoughts in the comments.